Multi Auto Inusrance Service Inc provides registration services for 5 Star Car Title Loans customers. The store is located at 851 S Lark Ellen St, near the intersection with Arrow Hwy. 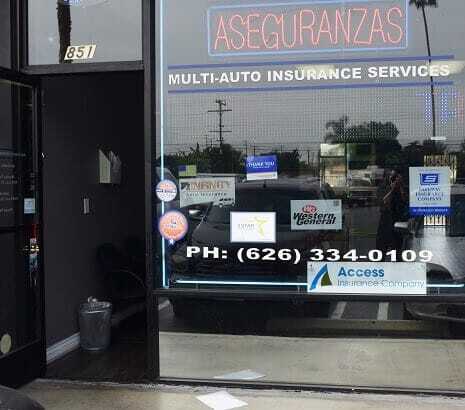 If you live in Azusa and in need of registration services, stop by Multi Auto Inusrance Service Inc that works with 5 Star Car Title Loans in Azusa. Multi Auto Inusrance Service Inc provides our clients with unmatched customer service. 5 Star Car Title Loans does not issue loans at this location. 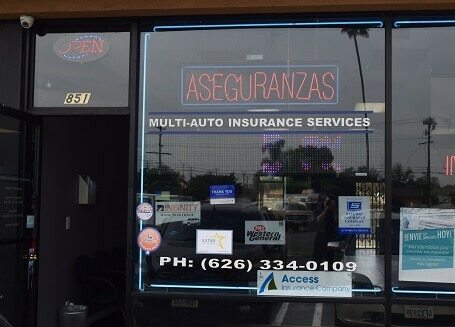 For those people who need extra money in Azusa, 5 Star Car Title Loans in Azusa can be the perfect solution. Contact us today to see how you can use the value of a vehicle that you own to get a fast loan. Do I Need Good Credit to Get Auto Title Loans? No, your credit is not as important as the car you own when you apply for auto title loans. To find out more about how you can qualify for auto title loans even if you have bad credit, contact us at 5 Star Car Title Loans in Azusa. You’ll be glad you did! When I Apply for California Title Loans Can You Transfer the Title into My Name? We will help you through each step of applying for California title loans. We will use our experience to guide you so that you can get your car registered correctly so that you can get a current registration, which is needed when you apply. Call us today and our 5 Star Car Title Loans in Azusa agents will use their experience to help you. No worries if you need help with your California title. We might even be able to take care of your California registration while we process your car title loan all at the same time! Let us help you with the legal work so that you can get your money as quickly as possible. 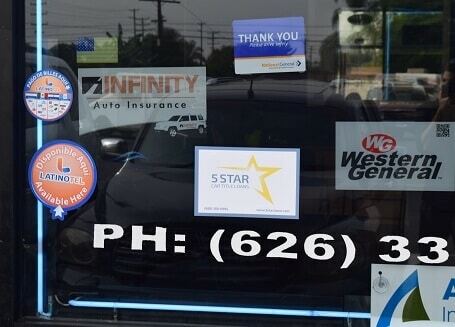 Our agents at 5 Star Car Title Loans in Azusa are waiting to hear from you. Can I Get Bad Credit Loans if I'm Still Financing the Car? Contact us at 5 Star Car Title Loans in Azusa so we can go over your options. One option might be that we would approve you for a loan that would not only finish paying off your car, but you would also have money left over to throw at bills, buy necessities or put aside for a rainy day. Let us help you with bad credit loans so you can get back on your feet quickly. What is the Maximum Amount I Can Get with Online Loans for Bad Credit? When you apply to the car title loans near you for a quick loan, you can get up to a maximum amount of $20,000. Call 5 Star Car Title Loans in Azusa today!